INDIANAPOLIS, IN (March 5, 2019) — Five outstanding former high school athletes highlight the 2019 class of the NFHS National High School Hall of Fame, including Derrick Brooks of Florida, Dusty Baker of California, Damon Bailey of Indiana, Seimone Augustus of Louisiana and Tracey Fuchs of New York. Brooks was one of the most dominant football players on defense at all levels – from Washington High School in Pensacola, Florida, to Florida State University to the Tampa Bay Buccaneers. In his final two years at Pensacola Washington, Brooks recorded 29 sacks and more than 300 tackles, and he was selected the National Defensive Player of the Year as a senior by USA Today. Baker was one of California’s top four-sport athletes prior to his outstanding 19-year baseball playing career and 22 years as a manager with four professional teams. He participated in football, basketball, baseball, and track and field at Del Campo High School in Sacramento in the mid-1960s. Bailey led Bedford North Lawrence High School to the Indiana High School Athletic Association (IHSAA) state basketball championship in 1990 before a national-record crowd of 41,046 spectators at the Hoosier Dome in Indianapolis, earning National Player of the Year and Indiana Mr. Basketball honors in the process. Augustus led Capitol High School in Baton Rouge to a 138-7 record and two Louisiana state titles in four years before her outstanding college career at Louisiana State University and professional career with the Minnesota Lynx. Fuchs, who was one of field hockey’s top stars at all levels, set national records for goals scored in a season (82) and career (171) at Centereach (New York) High School in the early 1980s before leading the University of Connecticut to a national championship and playing in four World Championships. Three outstanding coaches were selected for the 2019 class, including D. W. Rutledge, who led Converse (Texas) Judson High School to four Texas University Interscholastic League (UIL) Conference 5A state football titles prior to becoming executive director of the Texas High School Coaches Association (THSCA); Jerry Boatner, who retired last year after leading Collinsville (Mississippi) West Lauderdale High School to 14 state baseball titles and setting the state record with 1,202 victories; and Joe Gilbert, who has won nearly 4,000 games in softball, baseball, girls basketball, boys basketball and football in 65 years at Barnsdall (Oklahoma) High School and is still active at the age of 86. The two administrators in the 2019 class are former executive directors of the NFHS – the late Charles W. Whitten of Illinois and Bob Gardner of Indiana. Whitten led the National Federation from 1927 to 1940 prior to the establishment of a full-time office, and Gardner retired last year after 18 years on the NFHS staff, including the final eight years as executive director. The other two members of the 2019 class are the late Ralph Stout, who was involved with football and basketball officiating with the Tennessee Secondary School Athletic Association (TSSAA) for 65 years; and Ginny Honomichl, a longtime coach, administrator and leader from Baldwin City (Kansas) High School who was the first female to serve as president of the Kansas Coaches Association and the NFHS Coaches Association. These five athletes, three coaches, one contest official, two administrators and one other contributor will be inducted into the National Federation of State High School Associations (NFHS) National High School Hall of Fame June 30 at the JW Marriott Indianapolis in Indianapolis, Indiana. The 37th Hall of Fame Induction Ceremony will be a part of the 100th annual NFHS Summer Meeting. Following is biographical information on the 12 individuals in the 2019 class of the National High School Hall of Fame. Seimone Augustus was one of the top girls basketball players in Louisiana history – and nationally – during her four years at Capitol High School in Baton Rouge. She scored 3,600 points and pulled down 1,728 rebounds and was selected Miss Basketball in Louisiana in both her junior and senior years. She led her team to 52 consecutive wins and two state championships to close her career. Augustus’ dominance continued at Louisiana State University, where she was two-time National Player of the Year and led the Tigers to the Final Four three times. In 1999, she was featured on the cover of Sports Illustrated for Women with the title, “Is She the Next Michael Jordan?” Augustus has averaged 16.3 points per game in 13 years with the Minnesota Lynx with four WNBA titles and recently signed to play with the Lynx for the 2019 season. In the basketball-crazed state of Indiana, Damon Bailey created more headlines than any high school player in the state’s history during his remarkable career. Bailey’s scoring mark of 3,134 points remains the state record today, and he capped his fairy-tale career by leading Bedford North Lawrence High School to the IHSAA state title before 41,046 fans at the Hoosier Dome in 1990. Bailey was Mr. Basketball in Indiana in 1990, and he was a McDonald’s All-American and the consensus National Player of the Year. Bedford North Lawrence’s 6,300-seat gymnasium was sold out all four years of Bailey’s career, and he led his teams to a 40-0 mark in those home contests. Bailey was a four-year starter at Indiana University and led his team to the 1992 NCAA Final Four. He finished his IU career ranked sixth on the all-time scoring chart. Dusty Baker was a four-sport star – football, basketball, baseball, track and field – at Del Campo High School in Sacramento. Although baseball would be his eventual claim to fame, Baker excelled in the other sports as well during his high school days in the 1960s. He set scoring records for touchdowns as a running back and punt returner in football. He averaged 15 points and 13 rebounds in basketball, and he set a school record of 9.8 in the 100-yard dash. Despite basketball scholarship offers from two Division I schools, Baker pursued baseball after being drafted by the Atlanta Braves. That decision turned out favorably as he had a highly successful 19-year career with four teams – mainly the Atlanta Braves and Los Angeles Dodgers. Baker hit 242 home runs and had a .278 lifetime average and helped the Dodgers to the 1981 World Series title. After his playing career, Baker managed the San Francisco Giants, Chicago Cubs, Cincinnati Reds and Washington Nationals for 22 years with a .532 winning percentage. Derrick Brooks was one of the top high school players in Florida history during his time at Booker T. Washington High School in Pensacola. After helping his team to the state semifinals as a senior in 1990, Brooks was named National Defensive Player of the Year by USA Today and All-American by USA Today and Parade Magazine. In 2001, Brooks was named to theUSA Today All-Time High School Football Team, and in 2007, he was selected to the Florida High School Athletic Association All-Century Team. Brooks was a consensus All-American and Academic All-American at Florida State University and was inducted into the College Football Hall of Fame in 2016. He played his entire professional career (1995-2008) with the Tampa Bay Buccaneers and was inducted into the Pro Football Hall of Fame in 2014. In 2002, Brooks was named National Football League Defensive Player of the Year and helped the Bucs to victory in Super Bowl XXXVII. Tracey Fuchs has been one of this country’s top field hockey players during the past 40 years. She set season (82) and career (171) records for goals scored and is still second and third, respectively, in the NFHS’ National High School Sports Record Book 35 years later. Fuchs helped Centereach High School win the 1983 state field hockey championship. Fuchs’ success continued at the University of Connecticut, where she was a three-time All-American and helped UConn win the 1985 NCAA championship. After college, Fuchs was a member of the USA national field hockey team for 17 years, including 14 years as captain. She played in four World Championships, five Pan American Games, the 1988 and 1996 Olympics, as well as the 1994 World Cup. Fuchs has been field hockey coach at Northwestern University for the past 10 years and guided the school to the Big Ten Conference title in 2013. 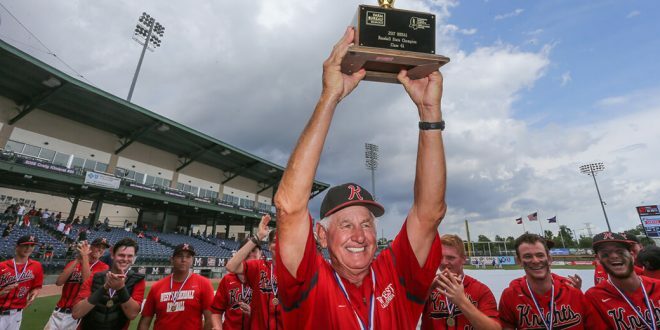 Jerry Boatner was one of the most successful high school baseball coaches in history during his 44-year career at West Lauderdale High School in Collinsville, Mississippi. Boatner retired last year as the winningest coach in Mississippi history and fifth nationally with 1,202 victories against only 359 losses. Boatner led his teams to 14 Mississippi High School Activities Association (MHSAA) state championships and five second-place finishes. He also coached the girls slow-pitch team for 19 years and led those teams to eight MHSAA state titles. Boatner was selected National High School Coach of the Year by USA Today in 2007. His teams won 34 district championships, and the 2007 team was ranked No. 2 nationally by USA Today. Joe Gilbert graduated from Northeastern State University in Tahlequah, Oklahoma, in 1954. That same year, he started his career in education as a teacher and coach at Barnsdall (Oklahoma) High School and, amazingly, 65 years later, he is still at the same school about 45 minutes north of Tulsa at 86 years of age. At one time, Gilbert coached six sports, in addition to his teaching duties and serving as the school’s athletic director. 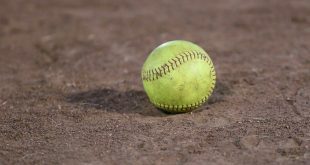 He is now down to three sports – fast-pitch softball, slow-pitch softball and girls basketball – but continues to serve as athletic director. Along with those sports and his previous duties as boys basketball, football and baseball coach, Gilbert has won more than 3,900 games during his 65 years of coaching, which includes 1,140 in fast-pitch softball, 917 in girls basketball, 801 in baseball, 649 in boys basketball, 395 in slow-pitch softball and five in football (one year). He led Barnsdall to the 1980 state baseball title, and his teams were runners-up three other times. His fast-pitch softball team won the 2012 state title and finished second eight times. D. W. Rutledge was head football coach at Converse (Texas) Judson High School from 1984 to 2000 and compiled a 198-31-5 record at the San Antonio-area school after nine years as assistant football coach. In his 17 years as head football coach, Rutledge led Judson to four Texas UIL Conference 5A (largest class) state titles. His regular-season winning percentage (.860) and his playoff winning percentage (.800) are among the best in state history as his teams advanced to the playoffs in 16 of his 17 years at Judson. Rutledge was named Coach of the Year seven times and Coach of the Decade for the 1980s and 1990s by the San Antonio Express-News. After retiring from active coaching, Rutledge became executive director of the Texas High School Coaches Association in 2004 and continued in that role until January of this year. The late Ralph Stout started officiating sports in 1946, and during his 65 years with the Tennessee Secondary School Athletic Association (TSSAA), he was a basketball and football official, supervisor and commissioner. Stout’s obituary in 2017 stated that he was a “legendary basketball and football official and was referred to as ‘the nation’s most respected man in stripes.’” He was an active two-sport official for 45 years, then served as the TSSAA Region I football and basketball supervisor for 10 years and football and basketball commissioner for another 10 years before retiring in 2010 at the age of 89. Stout also was a college basketball official in the Southern, Ohio Valley, Southeastern and Atlantic Coast Conferences and officiated in the NCAA Division I tournament seven times. He also officiated one year in the National Basketball Association and was a 1968 inductee in the Naismith Memorial Basketball Hall of Fame. Bob Gardner capped a 48-year career in secondary education last year when he retired after 18 years on the NFHS staff, including the final eight years as executive director. Gardner’s entire 48-year career was spent in the state of Indiana. After serving as a teacher, coach, athletic director, principal and superintendent at schools in Indiana for 15 years, Gardner spent 15 years on the staff of the Indiana High School Athletic Association, including the final five years as commissioner. He joined the NFHS staff in 2000 and was chief operating officer for 10 years before assuming the executive director’s position in 2010. During his eight years as NFHS executive director, Gardner led the organization’s focus on concussion awareness, increased operating revenue by $4 million and started the NFHS Network, the first-of-its-kind digital coverage of high school sports with more than 25,000 events covered annually. Charles Whitten was chief executive officer of the Illinois High School Athletic Association (now the Illinois High School Association) from 1922 to 1942, and, from 1927 to 1940, he also was the part-time chief executive officer of the National Federation of State High School Athletic Associations (“Athletic” was removed in 1970). As such, he was the first full-time executive of any state high school association, and he was, in essence, the first national authoritative figure in high school sports. Whitten championed the educational aspect of high school sports and remained grounded in those principals throughout his career. He took on the iconic football coach Amos Alonzo Stagg, ending his popular National Interscholastic Basketball Tournament in 1930. Not only was Whitten responsible for ending the organization’s involvement in national championships, he played a major role in stopping the involvement of colleges and universities in running high school sports. Ginny Honomichl was a teacher and coach at two Kansas high schools for 38 years (1970-2008), but that’s only the beginning of her achievements and contributions. Beyond her 16 years at Russell High School and 22 years at Baldwin City High School as a teacher and multi-sport coach, Honomichl was a trailblazer, role model, mentor and advisor at the local, state and national levels. She was the first female president of the Kansas Coaches Association and the first female president of the NFHS Coaches Association Board of Directors. She was the first classroom teacher or coach to serve on the Kansas State High School Activities Association (KSHSAA) Executive Board (1994-98), and she is in her sixth year (first female) as the executive director of the Kansas Coaches Association. Honomichl served on numerous KSHSAA and NFHS committees, and she hosted numerous KSHSAA state tennis tournaments.